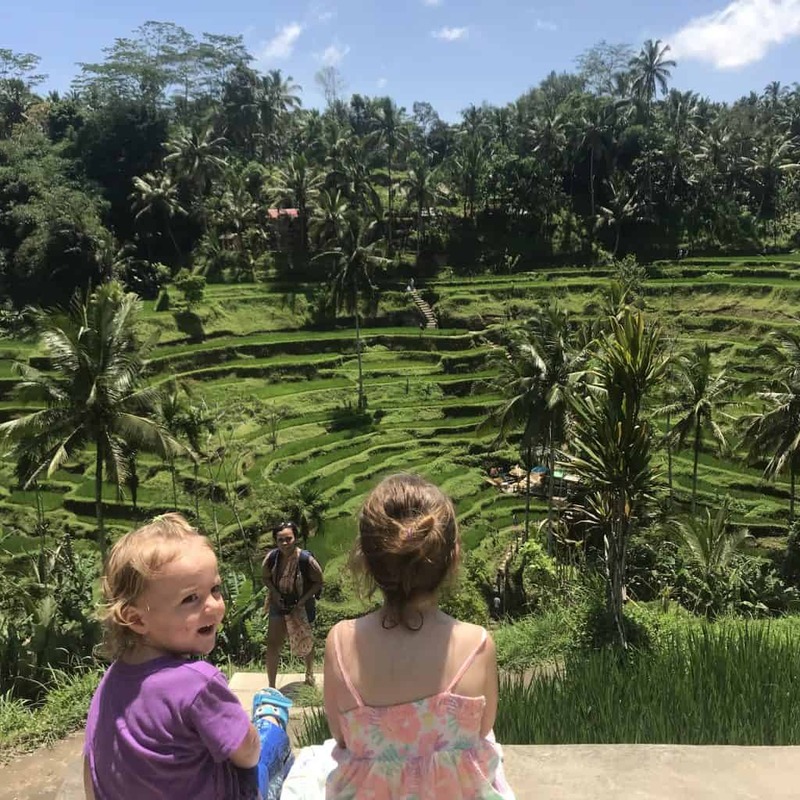 If you are thinking of visiting Bali with kids you may want to check out our quick guide to travel gear essentials, including our fave airplane toys and travel-friendly strollers. Please Pin to share with others! 1 Things to do in Bali with kids: Get out into nature! 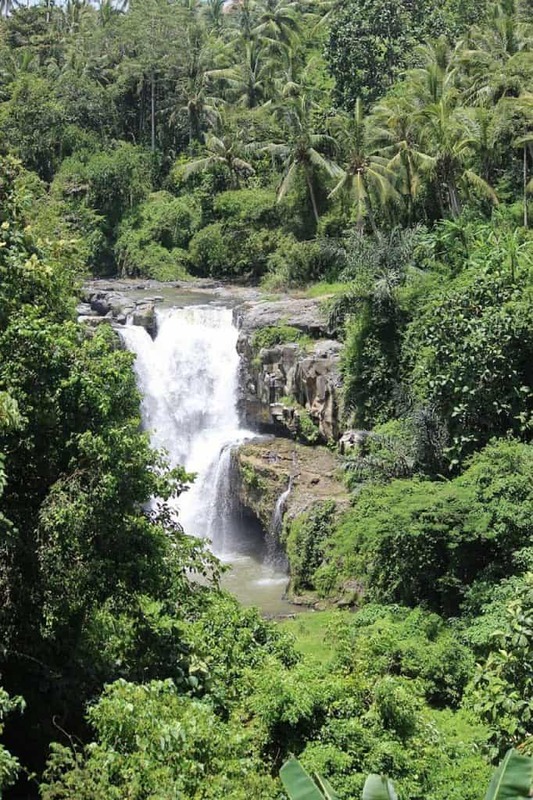 Things to do in Bali with kids: Get out into nature! Book it! Check out latest prices and discounts for the All Inclusive Tour of Ubud Rice Terraces, Temples & Volcano! Plastic! Seeing the amount of rubbish in the ocean and on the beach has opened up plenty of discussion about the environment and how the kids can be part of a more sustainable world. Book it! 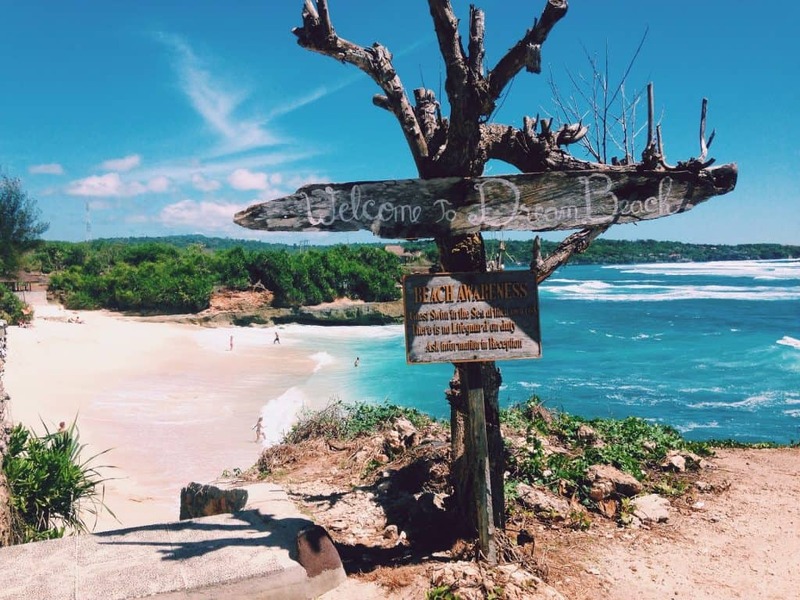 Check out the Snorkelling Day Trip to Nusa Lembongan island! Bali has superb beaches- we are currently staying in Sanur and having beach days with the kids couldn’t be easier. There are beach clubs all along the front that have their own kids’ play areas with beach toys, swings and slides. Most of the restaurants have a shower and changing area to rinse off sandy little ones, and the prices, although obviously more expensive than local warungs, is very manageable for the usual western visitors (a Diet Coke is £1.10, a kids’ fish fingers and chips is around £3). The snorkelling off the beaches is good; our kids have seen plenty of fish, eels and sea snails. 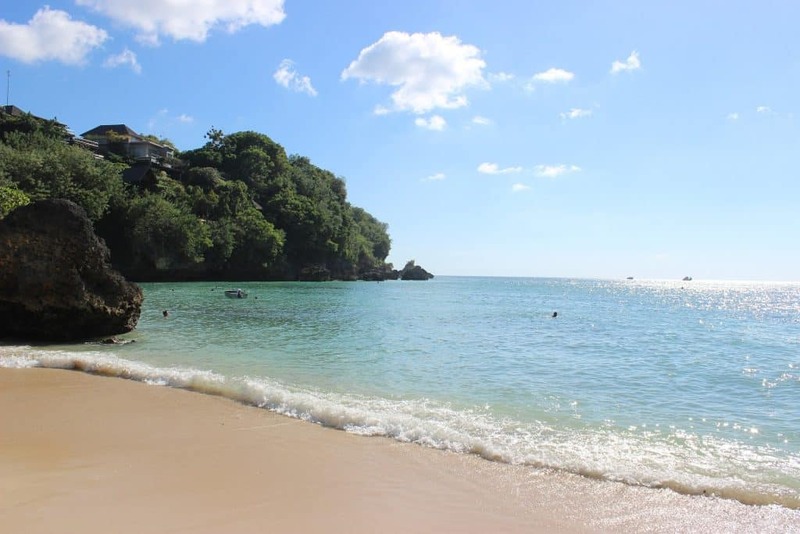 With a day tour your private driver will take you to the best beaches, wait for you and drive you along to the next one when you’re done. Get your kids involved in a beach clean- grab a couple of large bags and collect up the plastic bottles, cartons and string that accumulates at the tide line. Our kids loved doing this and it made the beach much nicer to sit on! Get right up to the shoreline and dig pools with a channel to the ocean. Our kids loved sitting in them as they filled up with water! Bury the kids’ legs and make them mermaid tails/ bury their arms and make them sand wings! Get the kids a beach-side Bali massage! They are offered all along the beaches here; kids whose love language is physical touch might especially enjoy it (click here to read more about love languages). All of these activities and more can be booked through GetYourGuide.com, the best online booking platform for tours all over the world. They showed us around Bali and undoubtedly have the best selection of things to do in Bali with kids! We’ve used them several times and love the service, using them means everything is included for the day so there are no hidden costs, and the guides are super professional and speak great English. 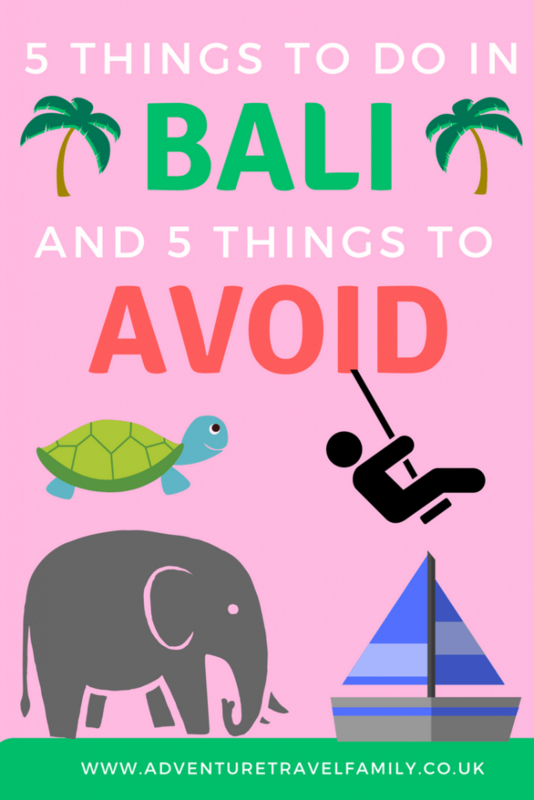 There are also 5 things you need to avoid while in Bali- click here to find out what they are. Whether you’re wanting to see something new in your home area, having a short holiday or travelling long term, Get Your Guide has something for you to explore. To check out what you could see with Get Your Guide, click here. Sounds nice but have you made provision for your family ie children and mother in case of illness or emergency. Or will you be one of the many relient on Go fund pages. We have full travel insurance including repatriation and health insurance so yes we have covered our provisions. A good quote is “if you can’t afford travel insurance you can’t afford to travel”, which we agree with.